India’s largest interior infrastructure company with more than 13,000 distributors, dealers, sub-dealers and retailers thought to take their service to mobile customers. However, they landed something terrible. Innofied helped to restructure, and re-strategize that ugly looking app to an awesome one. We removed the bugs, helped them rebuild as a result they viewed increased number of downloads. Good initiative, but still need to improve with different shades. 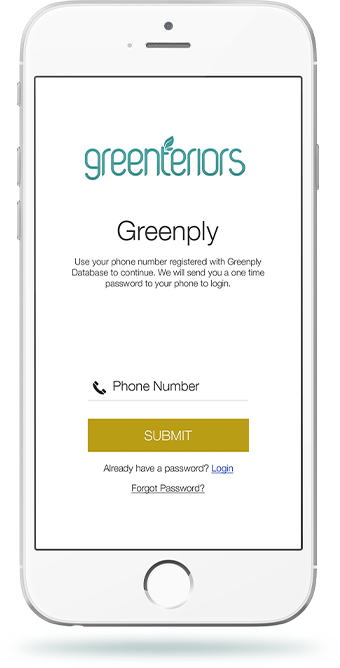 Greenply let you enter a world of impeccable collection of 200+ designs of Plywood, Veneers, Doors and other interior application products.With the increase in number of devices, they turned to mobile to grasp a better inventory management. We just helped them build a near-to-perfect from an old and ugly looking one. B2B login functionality which they have used or asked for in the app was not perfect. It never synced or categorised thus security of the logged in user was not safe. The tough task was to integrate a Product Price calculator. This has to use a complex algorithm, which made their inventory management critical. Posted Invoice was another feature which they wanted to sync with the re-designed app screen which we did for them. We helped them with a OTP system, earlier which they have failed to implement. We approved it and integrated it in the recent Android and iOS app. We have re-designed the product calculator screen, implemented the algorithm with easy functionality and the API that generates easy result. We have used Posted Invoice API (for both iOS and Android) that generates data as per new design we have used in the apps. They wanted their users who are dealers, sub-dealers, distributors and organization to order things in a jiffy. So mobile was the best platform. But earlier they failed to build the perfect app, however with the tweaks and functional changes we provided made them see 10000+ downloads with instant update.